BRUSSELS — The head of the U.N.'s food and agriculture agency warned Tuesday that conflict in South Sudan could undermine hopes of avoiding a new famine next year. 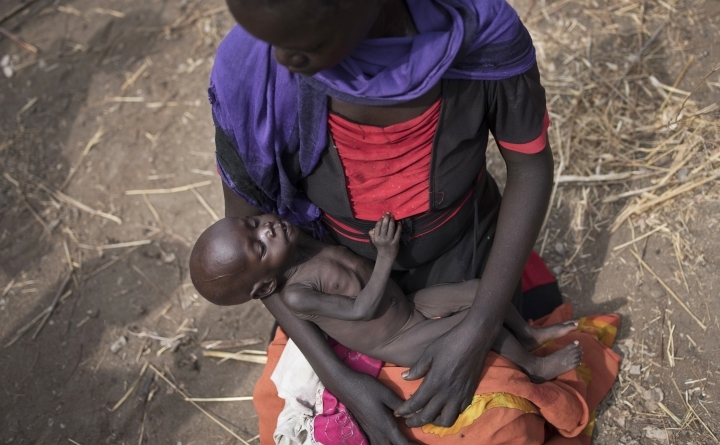 Around 100,000 people face starvation in South Sudan, where crop production has plummeted since 2013 as conflict has killed tens of thousands and forced 3.5 million people from their homes. Food and Agriculture Organization chief Jose Graziano da Silva told The Associated Press that the ethnic violence pitting forces loyal to President Salva Kiir, from the Dinka majority, against those loyal to Riek Machar, his former vice president who is a Nuer, is threatening the agency's work. "If they don't stop the war, what we are doing will be in vain," he said, lamenting the destruction of crops and attacks on the FAO premises and warehouses. "We cannot continue that way. We are wasting money and time if we don't stop the war." Da Silva said the U.N. agency is trying to provide food, seeds and livestock simultaneously to farmers to take advantage of the rainy season. "This is the time for farmers to plant. They don't have seeds. They have eaten the seeds. Even the seeds that the FAO provided last month, they have eaten them," he said, during a visit to Brussels to drum up support at EU headquarters. Da Silva warned that if South Sudan farmers "lose their cattle, their goats ... they will move out, they will become migrants." More than 1.8 million people who fled their homes have left South Sudan altogether, sparking what has become the world's fastest-growing refugee crisis. Food insecurity in South Sudan, which declared independence in 2011, reached record levels last year, hitting 67 percent of the population. Cereal production was at its lowest level since the conflict started.